Enter the imagination of Kristoffer, a 8-year old boy who questions his own relationship with the world. 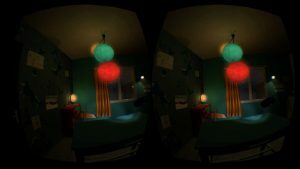 Let you be carried away in this half-real, half-virtual world in which a simple boy’s room transforms itself into an infinite milky way. This installation is linked with the play “Kant” from Jon Fosse (1990), a philosophical children’s tale from the “Ex voto à la Lune” company (2015).